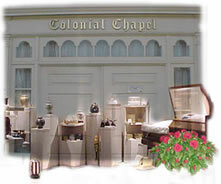 Brown Colonial Mortuary offers many types of funeral services. We can tailor any funeral around the needs of the family. "Traditional" has always been a little bit untraditional in California. A viewing, funeral and burial are always considered traditional, although you don't always need to have a viewing. Nor do you need to have a funeral at a church or in our chapel. Some people now choose to have the entirety of the funeral at the graveside. Through the years, "Traditional Services" has taken on new meaning, and we at Brown Colonial Mortuary realize this and willingly accommodate the needs of the family, including incorporating cremation into more traditional funeral services.